A biological dentist, Dr. Ramsin K. Davoud and his team take great pride in offering healthier, advanced alternatives to conventional dental treatments. We encourage patients to see what makes Ramsin K. Davoud DDS Family & Cosmetic Dentistry’s approach to Temporomandibular Joint Disorders (TMD) different. Dr. Davoud has committed extensive time to advanced training and invested in advanced technologies to pinpoint the true nature of your TMJ-related symptoms. In Turlock, TMJ Disorder Treatment is tailored to your needs based off of accurate diagnostics and extensive knowledge. 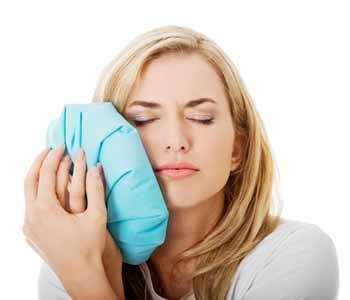 Many factors contribute to TMJ symptoms. Understanding the cause of your symptoms leads to effective treatment. Symptoms that are restricted to the oral cavity and those that affect other parts of your body, such as neck and back pain, are resolved without the need for pain medication. In fact, some of Dr. Davoud’s patients have been able to reduce or eliminate their use of medications to relieve pain. Dr. Davoud’s approach is not about masking or putting a Band-Aid on side effects from TMJ-related imbalances; rather, orthotic and neuromuscular principles aid in treating the underlying cause of myriad symptoms. Dr. Davoud’s tailored and multi-faceted options result in effective treatment that provides lasting relief from discomfort and restores healthy function. TMD: What is at work? You have a temporomandibular joint on either side of your head. These joints work together with a system of muscles, ligaments, discs and bone to facilitate many critical functions from chewing to speech. Generally, disorders arise when the small discs that absorb shock and separate the bones in the joint shift out of alignment. The cartilage covering these bones or the joints themselves can become damaged, too, and give rise to chronic concerns like lockjaw, tinnitus, jaw stiffness, migraines, and earaches. Damage interferes with the harmonious interaction among the bones in the joints that allow for smooth, healthy motions. Erosion, damage, and trauma can be due to bite problems, arthritis, jaw injuries and dislocation, and other conditions that cause the muscles to tighten. For this reason, factors such as stress are linked to the onset of TMJ symptoms or to a worsening of symptoms over time. It’s not uncommon for Dr. Davoud’s patients to encounter dramatic changes in their symptoms, with formerly minor discomfort escalating to debilitating pain that interferes with daily function. To create a treatment plan that works for you, Dr. Davoud brings to bear technologies like the K7 Evaluation System. This assessment process tracks the position of your jaws and surrounding muscles. It also analyzes jaw imbalances, measures bite forces, and identifies the exact location of imbalances. The data that is collected informs your treatment. Gneuromuscular (GMN) appliances – Pioneered by Dr. Clayton Chan, GMN combines “gnathologic” (referring to the masticatory system that facilitates proper chewing) and neuromuscular science. Dental appliances customized to the patient are designed to achieve an optimal mandibular to cranial relationship, which is associated with body posture and alignment. TENS – Transcutaneous electrical nerve stimulation therapy safely delivers low-electrical currents to relax the jaw joints and facial muscles. As muscles and joints relax, pain dissipates. This approach relieves chronic tension, and encourages enhanced oxygenation and circulation. Relaxing techniques – These techniques take aim at stress, consciously slowing respiration to ease tense muscles and reduce pain. Exercises and massage – Physical therapy for overstressed jaw joints that stretch and strengthen muscles. 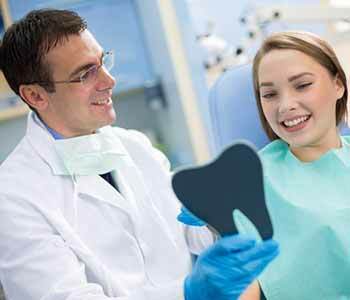 Restorative dental treatments – Dr. Davoud may find that problems with how the upper and lower teeth fit together when you bite down are to blame. Bite-related imbalances may be treated with tooth replacement such as implant-supported bridges, or with restorations such as crowns that balance the biting surfaces of your teeth. Your biological dentist is also experienced with orthopedic orthodontics, an alternative to conventional braces to straighten teeth and correct bite problems. Orthopedic or functional orthodontics account for the teeth and jaws as part of a larger, neuromuscular system, for effective “no-extraction” treatment that resolves TMJ symptoms and other conditions such as sleep apnea. These and other treatments are recommended only after Ramsin K. Davoud, DDS Family & Cosmetic Dentistry knows what is causing your pain. Call (209) 666-8867 to schedule an advanced evaluation with Dr. Davoud in Turlock CA.